Do you know all the names of God or what the 10 plagues of Egypt are? What about all the feasts and festivals under the Law of Moses? Find out this and more as you explore these awesome new companion resources for this year’s Gospel Doctrine Old Testament study. From Adam to Zacharias, the people of the Bible teach us powerful lessons. Whether their stories are already family favorites, like those of Noah and Jonah, or less familiar, such as the story of Lydia, the seller of purple, each one will help your family make good decisions and follow the Lord. Packed with fun facts, insightful lessons, and all-new activities, this engaging book will help each member of your family better understand who's who in the Bible. Adam and Eve. Noah. David and Goliath. Daniel in the lions' den. Many of our best known and most beloved scripture stories are found in the Old Testament. This book shares these classic stories with language and illustrations that will appeal to very young children as well as beginning readers. 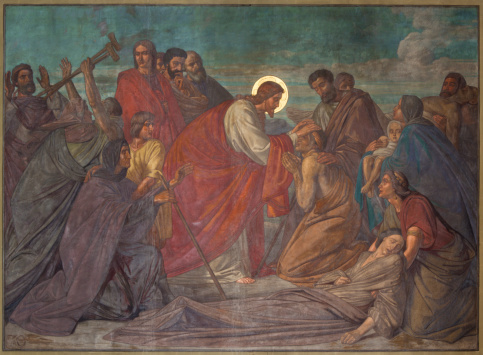 Written specifically for members of The Church of Jesus Christ of Latter-day Saints, many of the stories reflect the greater understanding available through modern revelation. 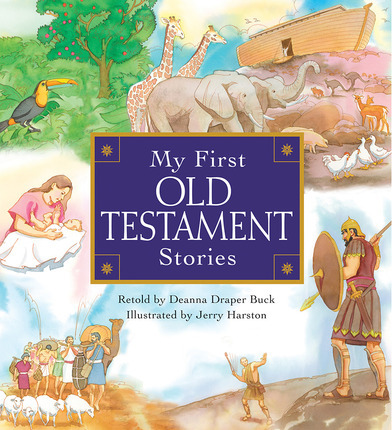 Favorite characters and scenes from more than eighty stories in the Old and New Testaments come to life in a vividly illustrated reader for the entire family. 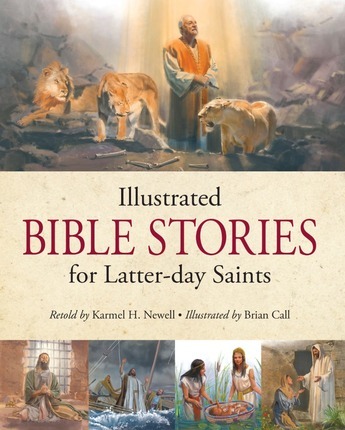 With a Latter-day Saint perspective in mind, the book includes background information, explanations, and definitions to help your family understand the significance of each scripture story. Perfect for bedtime stories, individual reading, family scripture study, or family home evening, this timeless volume is sure to become a treasured addition to any LDS home library. 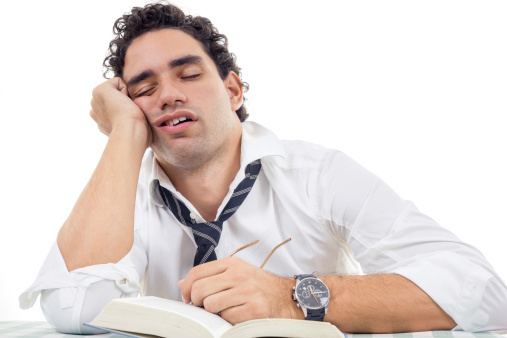 Studying—and truly understanding—the Old Testament can feel like an insurmountable task. But in this wonderful compilation of 100 of the most beloved Old Testament verses, author Shauna Humphreys reminds readers that this sacred book of scripture is brimming with treasures of wisdom for those prepared to seek them. Presented with complementary spiritual insights, vibrant explanations, and personal applications, each verse will motivate readers to delve into these sacred and powerful teachings as never before. If you have ever found the Old Testament intimidating, you're not alone. The less-familiar history, themes, and language, coupled with the length of the book, make it a difficult read for many. 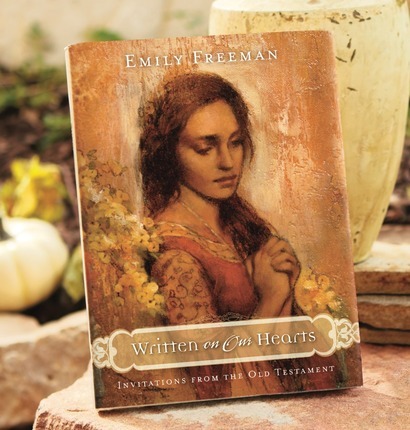 But author Emily Freeman loves the Old Testament, and as she shares some of the wonderful things she has learned in her study of this book of scripture, you will find yourself coming to love it too.Written on Our Hearts is not a commentary or an intensive doctrinal study. Instead, Emily writes about the stories of the Old Testament, stories of trusting and overcoming and enduring and believing. Within these stories are all kinds of applications for the challenges we face today. Noted teacher and gospel scholar David J. Ridges brings the books of Moses and Abraham, in the Pearl of Great Price, and the book of Genesis, in the Bible, to life with his well-known teaching skills. 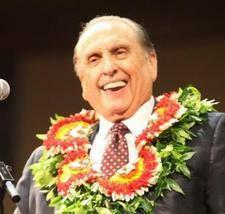 As with his other books in the Gospel Studies Series, the full text of the scripture is included. In-the-verse notes provide a highly effective, unique teaching tool. Notes between the verses provide additional insights and teach principles and doctrines. Join the tens of thousands of readers who have experienced spiritual growth from reading and pondering the books in this series. Of all the standard works, the books of the Old Testament often seem most shrouded in mystery. Unfamiliar vocabulary, cultural references, and symbolism can feel like daunting prospects for gospel study. 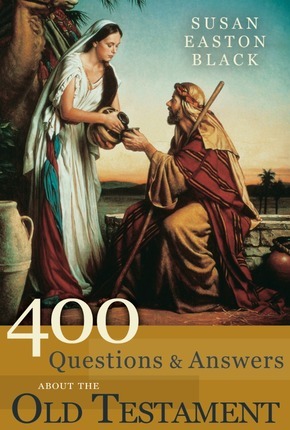 In 400 Questions & Answers about the Old Testament, renowned BYU religion professor Susan Easton Black deciphers the text one topic at a time in order to answer an array of common questions related to Old Testament study. Kerry Muhlestein invites readers to view the Old Testament from a fresh perspective as they expand their understanding of the prophecies, events, and symbolism found within the pages of this book of scripture. He presents easy-to-understand discussion of individual verses, with supporting material drawn from the words of Church leaders. These insights and details, along with careful, prayerful individual study, will illuminate the sacred words of the prophets as they teach and testify of Jesus Christ. 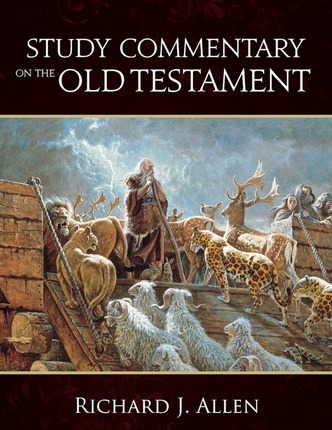 Dig deeper into the scriptures and gain new insights from respected gospel scholars with this concise, accessible, and easy-to-use commentary covering all the gospel doctrine Old Testament reading assignments. Remarks and annotations are presented to the side of the scriptural text used in the gospel doctrine weekly lessons, and there is also room for your own notes. 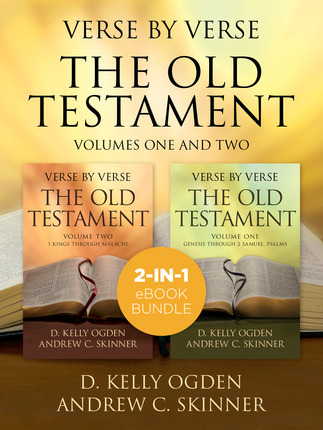 Whether you’re a beginning or advanced student of the scriptures, using this powerful study tool will deepen your understanding of the millennia-old sacred text of the Old Testament. What can the Old Testament teach us about how to live the gospel in our own day? What relationships can we see between our challenges and those face by the children of Israel in ancient times? Why do we need to understand the poetry and promises of Isaiah—and how can we learn to do that? 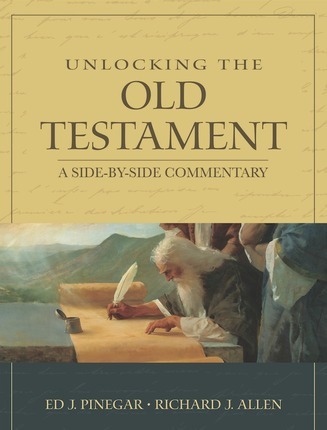 This commentary offers soul-satisfying enrichment to our study of the Old Testament, whose timeless truths testify that the Lord is "the same yesterday, today, and forever." 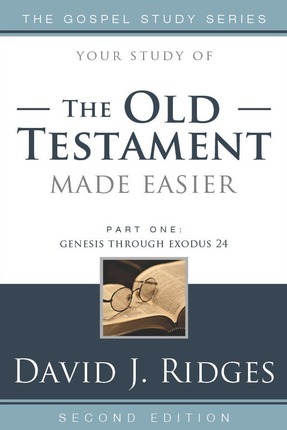 Learn to apply the wisdom of the Old Testament in your life with the sequential down-to-earth weekly lessons found in this well-researched volume. The holy scriptures are brought to life in this book through more than one hundred true stories—including historical vignettes—that illustrate the love and mercy of the Lord for His sons and daughters. 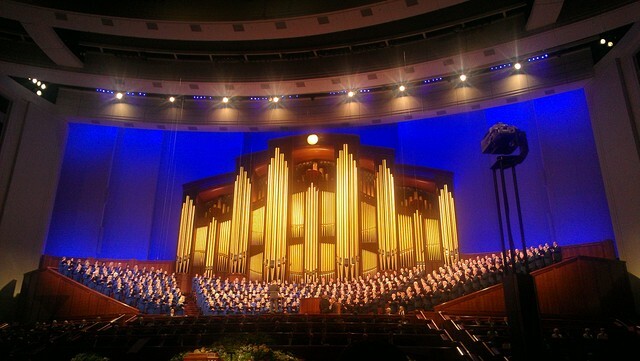 Also included are many short dramatic scenes to illustrate how the Lord’s prophets and leaders were taught and blessed through the events unfolded in scriptural accounts.